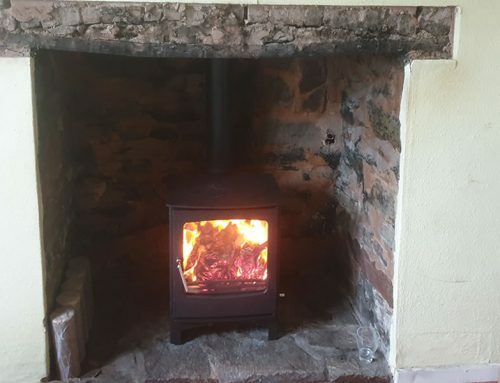 This project invovled installing a Charnwood Arc 5 Multi-Fuel woodburner in a two story property with no chimney in Minehead . 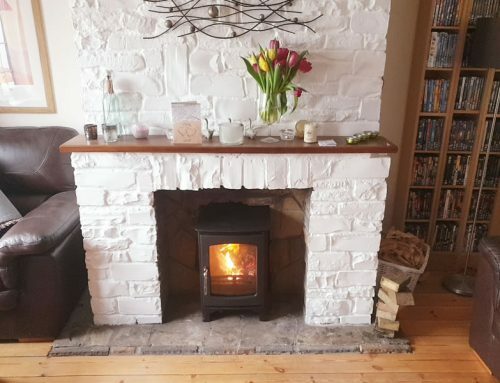 Knocking a hole through the 70cm wide stone wall for the chimney was a lot of work, but the project was completed within 2 days as stated. 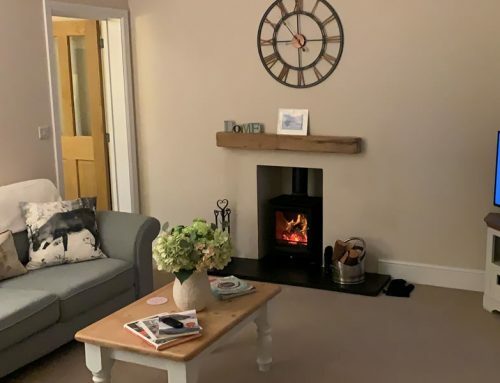 We sourced a curved slate hearth and cut the plasterboard out the wall on the left and replaced with fireboard to adhere to HETAS regulations. 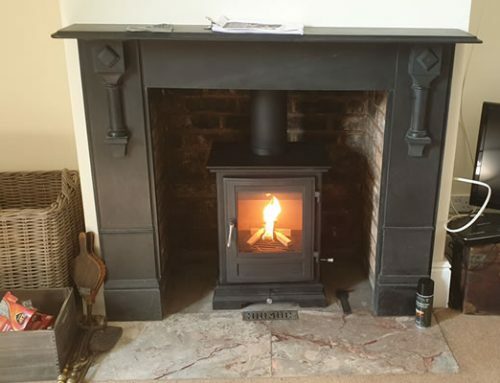 The Charnwood Arc Stove is a premium wood burner and is very well made and has a 10 year warrenty on the body. 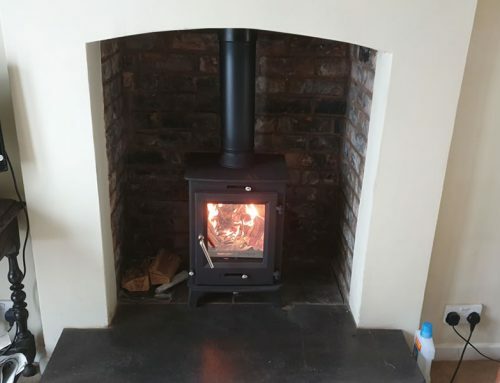 HETAS Woodburner Installers Kingston St Mary, Taunton.